The supplement market is swamped with protein powders at moment making it so hard to know which is the best. For many years I have searched for one that ticks all the boxes from an athletic and nutritional point of view. This was until I came across Whey’d. Whey’d not only hits all the boxes nutritionally but has been a great addition to my training. 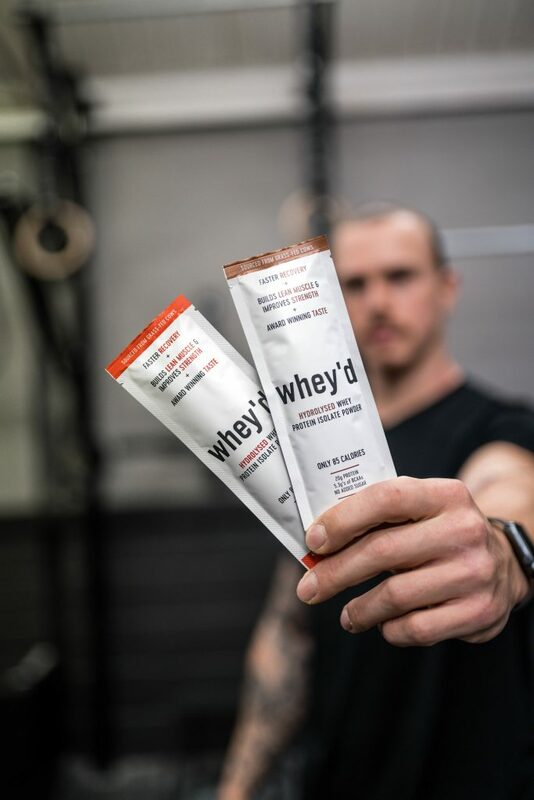 Aside from being a great product Whey’d are always looking for ways to help support charities, give back to the planet and also source from local farmers to make sure the best quality whey protein is put into their products. Here is why I believe Whey’d is one of, if not the best whey protein shake on the market at the moment. Carbon Neutral – Whey’d offset their carbon footprint by planting the relevant number of trees to counter balance those used in their product production. Ethically Sourced – All GMO free, animals are treated like family members by their farmers. Whey’d make regular visits to the farms to make sure this is upheld. Cows under less stress mean better quality milk and products for us.